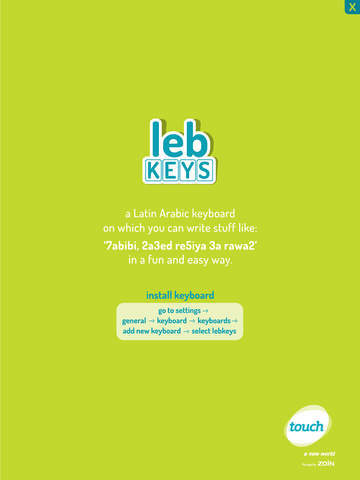 Brought to you by touch, Lebanon’s leading mobile operator, Leb Keys is a Latin Arabic keyboard on which you can write all your Latin Arabic messages such as ‘7abibi’ ‘7ayete’ ‘2a3ed re5iya 3a rawa2’ in a fun and easy way. 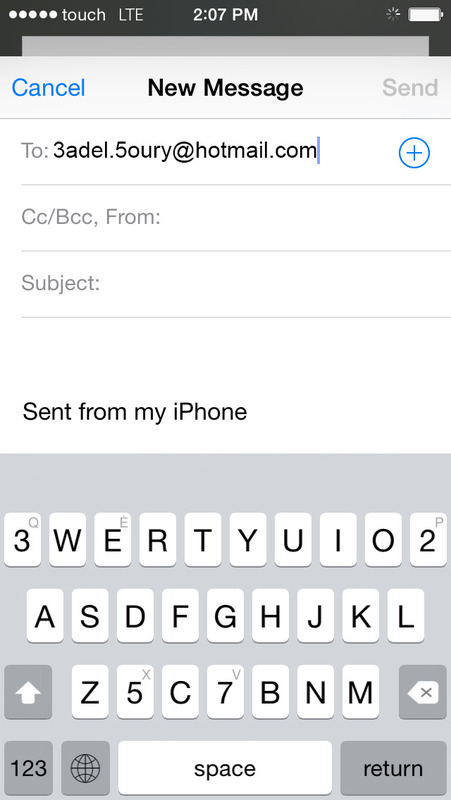 Just download the app and install the keyboard. Once you do, the leb keys keyboard becomes part of your preset keyboard menu and you can use it on all your apps (WhatsApp, Email, Facebook, Twitter etc) that support keyboards.